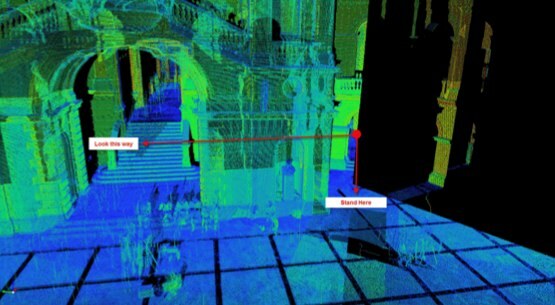 Complex architectural scenes suffer in clarity due to points in front of and behind other data. 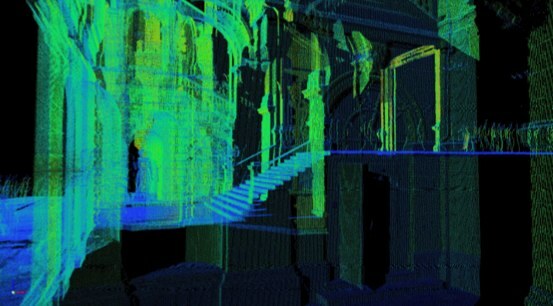 Occlusion culling has been implemented in ScanMaster to improve visual clarity in point clouds. 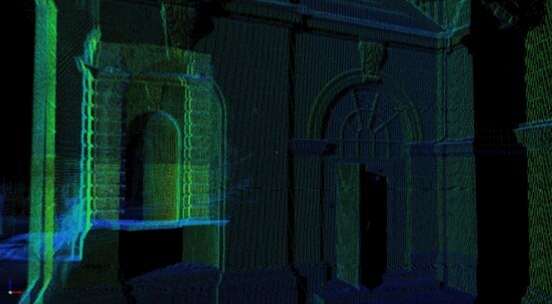 The image below shows a point cloud of a complex building. The aim is to examine the wall either side of the archway (viewpoint and direction annotated). With occlusion “false”, it is difficult to see foreground pounts because of may additional layers of data in the background. Rendering speed is also lower because of the higher number of points in the dataset. With occlusion “true” (below) the foreground points are now much easier to see due to background data being hidden. Note that windows, doorways amd other surface “holes” are correctly handled.